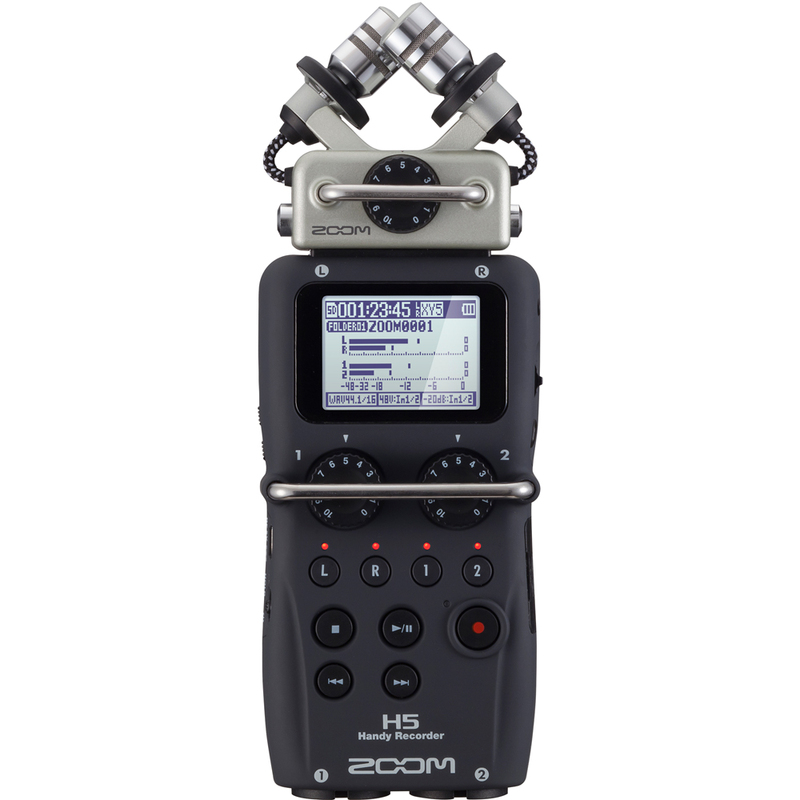 The groundbreaking Zoom H6 portable recorder allow the user to select between four interchangeable input capsules to choose the perfect microphone for his or her recording. 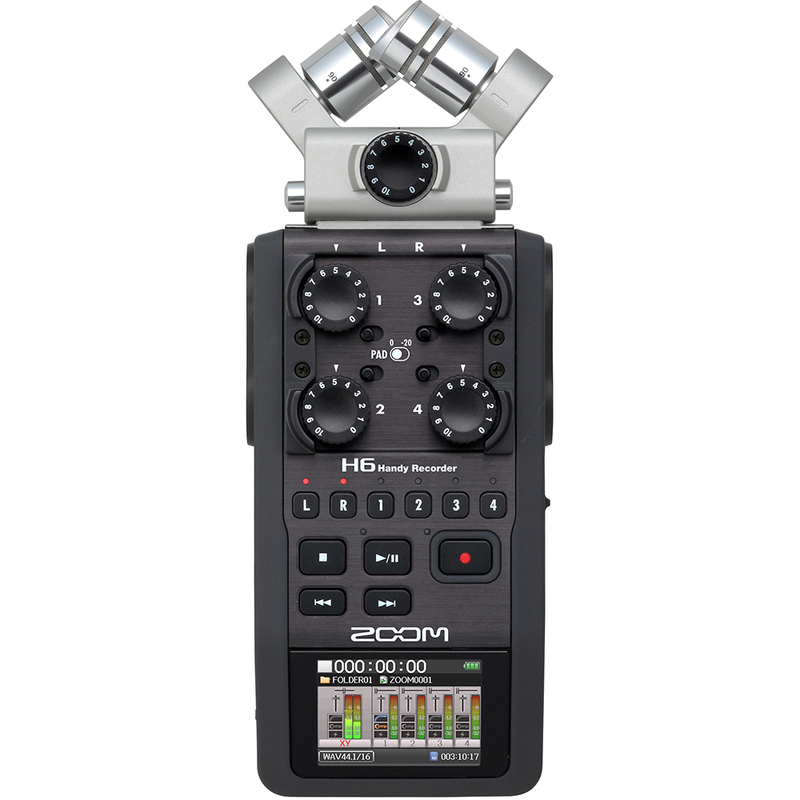 Whatever the application - live recording, professional film/video work, live broadcast or electronic new gathering - the H6 can handle it with ease. 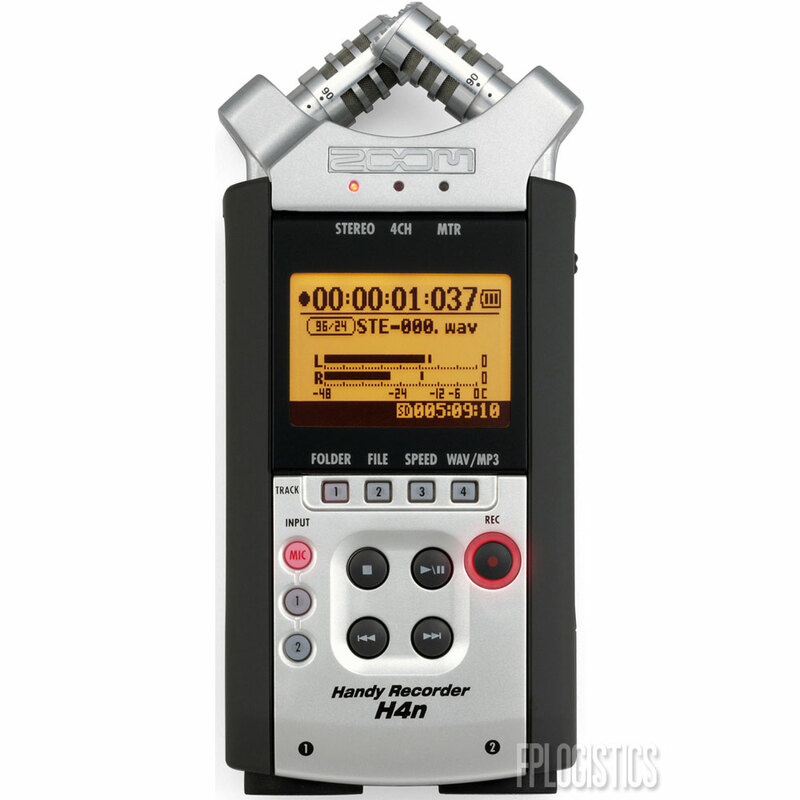 The H5 provides four tracks of simultaneous recording and can use all Zoom interchangeable input capsules. The flexible and powerful H5 provides everything you need to create multitrack recordings, audio for video, and state-of-the-art podcasting, broadcasting and electronic newsgathering. This handy recorder has a unique X/Y microphone design that captures stereo images perfectly making it one of the best portable recorders around. 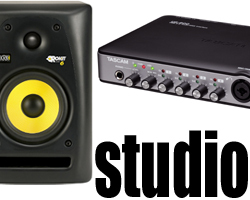 Plus, it has XLR inputs so passing signal to it is a breeze!